This deluxe Pirate accessory includes a brown hat and wig which has long black hair, thick braids & detailed beaded design! 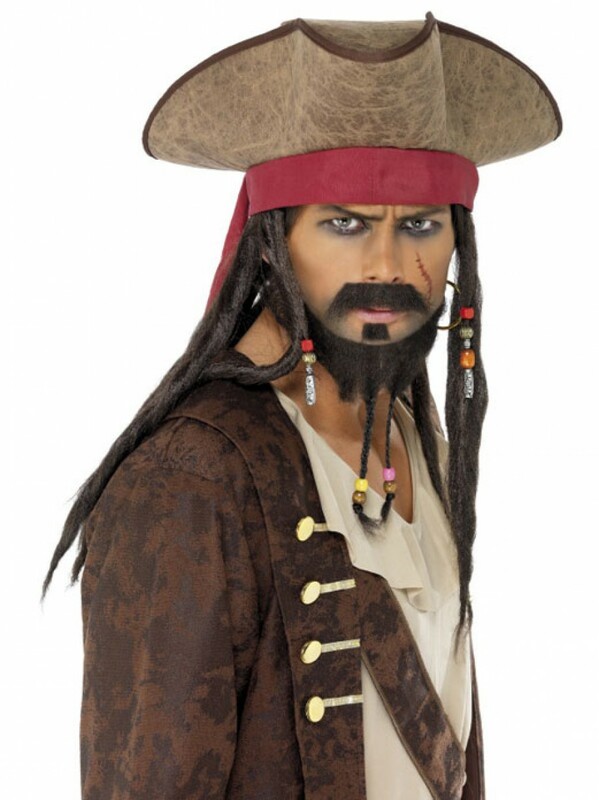 This fantastic Hat and Wig is a great accessory to complete any Pirate Captain Outfit. The brown hat has a suede effect and is in a soft and padded material. The rim of the hat has a rich red velour edge to create the look of a bandana. The attached wig has long black hair and braids to create a fantastic look. The chunky braids measure an impressive 24” from the rim of the hat to create a deluxe look. The wig also includes a beaded design with wooden beads and one detailed silver bead on each side. The perfect accessory to complete your look! Pirate Captain Hat with attached Wig.